I love to get new Christmas books each year for the kids. I have found that even my teens love to sit down each evening and listen to a Christmas story. 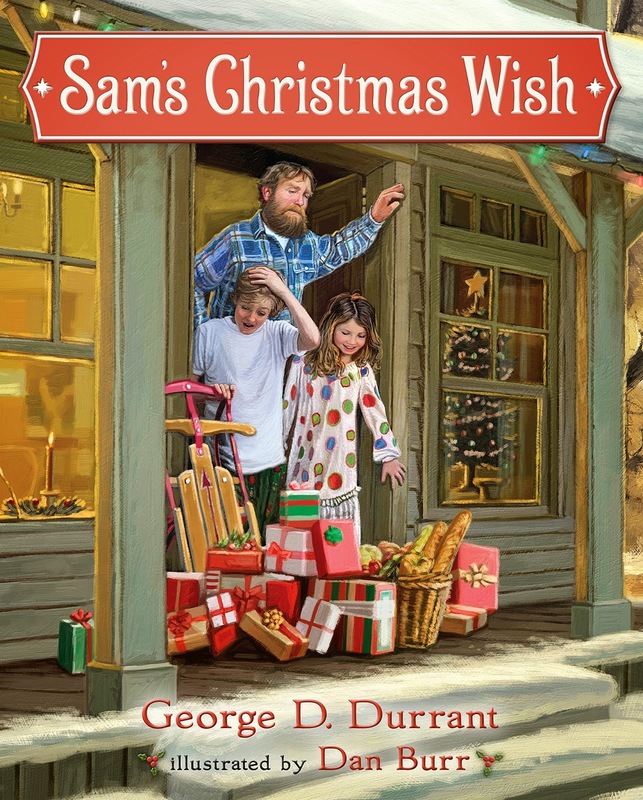 We really like to focus on the true meaning of Christmas, and books like Sam's Christmas Wish are perfect for our collection. We wrap up 24 books and beginning the first of December, one child will choose one, unwrap it and we read it together. This is our advent of books on the count down to the big day! the presents, the freshly fallen snow reveals no footprints. means for another anonymous miracle. beauty and emotion of Christmas. Purchase your copy here for the holidays! The illustrations are so life-life I felt like I walked into a Kentucky home and was able to see Sam with his shotgun on his lap! The poor kids, wake up Christmas morning, blessed by "do-gooders" and Sam sends them back to bed in an angry huff. Sam calls the sheriff who comes out and mentions that there are no tracks on the road since the big snow. So how did all of the gifts and food get there? Sam is finally warmed by his children's spirit and he checks the roof for prints of hooves and exclaims to the kids that there are tracks up there, so the gifts must be for them. Oh, so thankful that Sam had a change of heart! "That thine alms may be in secret: and thy Father which seeth in secret himself shall reward thee openly", Sam reads in his Bible. The book continues 36 years later when Sam is an older man with arthritis, his wife deceased and children moved out. The end is uplifting and tearful for adults, but may need to be explained to young children.